When it’s about hair, it’s not just about the cut and shape. It’s mainly about the colour. That’s why there’s a point in every beauty enthusiast’s life when they want to go blonder than just blond. For me, a natural brunette, that’s not an easy thing to do: hair damage and the fear of losing what you love, an illuminated lion's mane, is holding us back to go that far. But this fear is finally restrained thanks to WELLA PROFESSIONALS and their newest invention called WELLAPLEX. 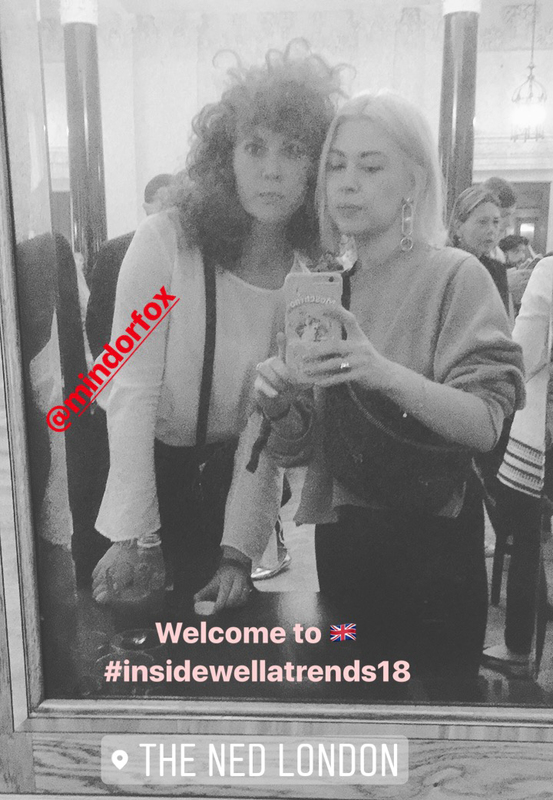 Invited to the great news update by WELLA PROFESSIONALS, which took place in London for the upcoming season, I first found out about their newest treatment. Excited about these news, WELLA PROFESSIONALS invited my to convince myself of their magnificent invention. 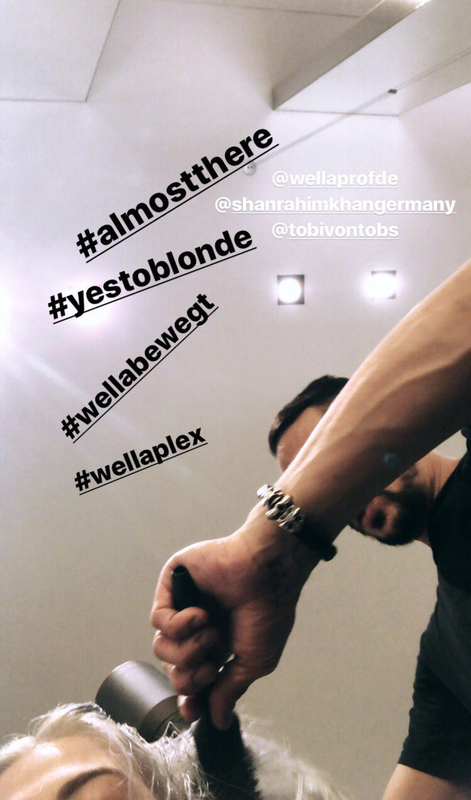 They invited me to try out the new colour treatment in their Berlin based partner salon of Shan Rahimkhan at Gendarmenmarkt, Berlin. I, a quite complicated client with a lot of expectations and (bad) experiences in the world of hair colouring, got totally excited about this invitation and so it didn’t take long until we set a date on which the procedure should take place. I wasn’t a natural brunette when I showed up there. 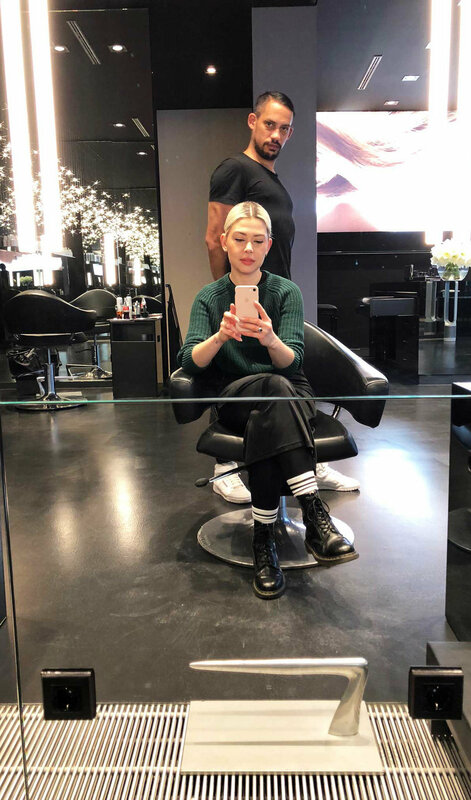 My hair was already bleached, but I wanted more… blonder and bolder, including the roots that were sadly showing my natural colour coming through already. But before all that I had to dig deeper: What exactly happens when you want to bleach your hair whilst taking care of it? These two things usually don’t go together. 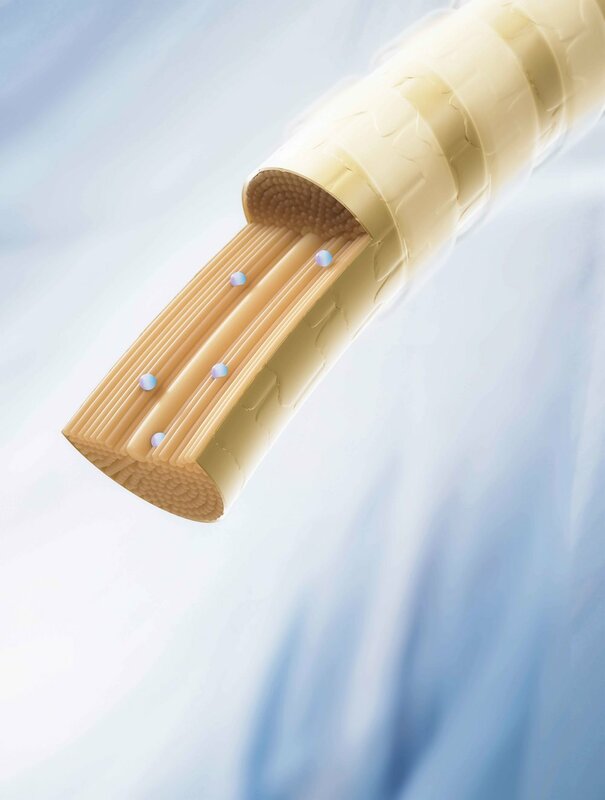 The secret is WELLAPLEX, a treatment that uses an exclusive technology called Opti pH system. So this is what happens during the colouring process: The technology helps the hair to be stronger by reconstructing its inner bonds. A system that goes hand in hand with the WELLA PROFESSIONAL colour products to ensure perfect lightening and colour results. To start with, the colourist uses N01 Bond Maker, a product that helps to create bonds within the hair during the lightening and colouring. It is followed by product N02, the Bond Stabilizer, which furthermore strengthens these bonds, re-balances the pH and strengthens the hair structure after the chemical treatment. These two phases are part of the salon’s service and quickly showed that my hair was taking on the colour procedure more easily than it ever had before. As I mentioned: I’m a natural brunette, which means there’s no bleaching without a shadowing process. Coming from the complimentary colour palette the shadow helps avoid yellow nuances, which just come naturally due to the natural hair’s red pigments. In my case, Tobi went for an ice blue tone to make it more special than before. Also because a blue shadow gives the blond a cooler look. My hair, freshly bleached, was strong. It didn’t break during the colouring procedure and let my bob stay the way it was. 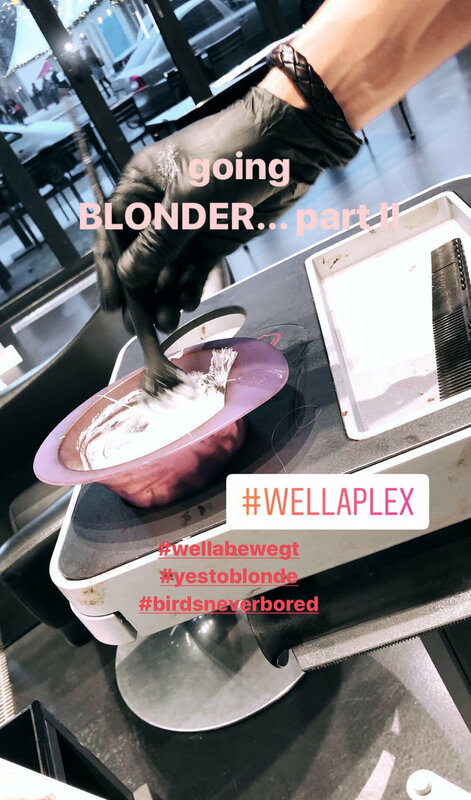 Of course, my former bleaching procedures hadn’t been helpful - but even now, after some weeks of treating my hair alone at home – with product N03 of this range, the Stabilizer, which keeps the WELLAPLEX-effect alive until the next salon visit. The signs of damage were kept to a minimum. My hair is still strong, the colour is luminous and I can’t wait for the next treatment to come. 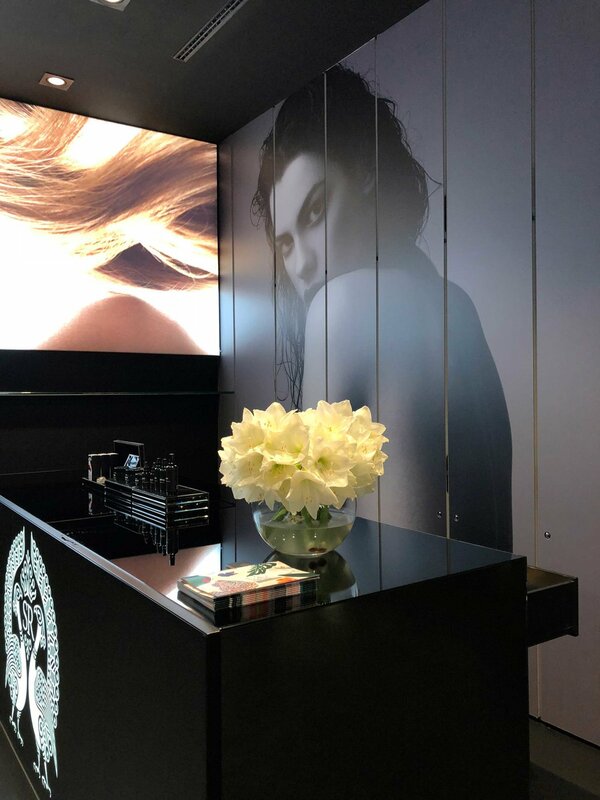 Once you’ve begun to go blonder, you just won’t want to stop… especially now that we have a treatment that keeps our hair not only good looking but also healthy for longer.